Sacred Pipe Resource Center would like to support your Lemonade Day business again this year. 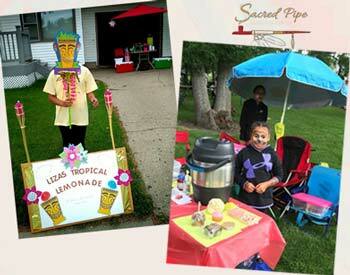 Contact us at native@sacredpipe.net for more information about our sponsorship opportunity, and plan to attend the Lemonade Day Bismarck-Mandan Kickoff Event (link below) at SkyZone on April 23 to get your business kit! Lemonade Day Bismarck-Mandan’s mission is to help today’s youth become the business leaders, social advocates, community volunteers and forward-thinking citizens of tomorrow…one lemonade stand at a time!